Charlie Riley, owner of Truckee Hometown SEARS, and Michael Gelbman, publisher of the Sierra Sun/North Lake Tahoe Bonanza, present Strong with a finalist award certificate. 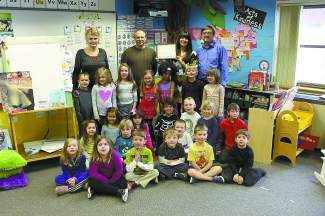 TAHOE/TRUCKEE, Calif. — Glenshire Elementary School kindergarten teacher Taylor Strong has been selected as the third Truckee Hometown SEARS-Sierra Sun/North Tahoe Bonanza Teacher of the Year finalist for the 2013-2014 school year. As a first year teacher, Strong has impressed parents with her enthusiasm and patience. “She is so excited and enthusiastic to be teaching these young minds,” wrote one parent nominator. Strong’s colleagues also feel she is an energetic addition to their team. On March 3, Charlie Riley, owner of Truckee Hometown SEARS, and Michael Gelbman, publisher of the Sierra Sun/North Lake Tahoe Bonanza, presented Strong with a finalist award certificate and gifts from program sponsors. “The selection committee was impressed with Strong’s commitment to parent involvement and her tenacity as a first year teacher,” said Riley. Inspired by many of her own teachers growing up, Strong always wanted to become a teacher. 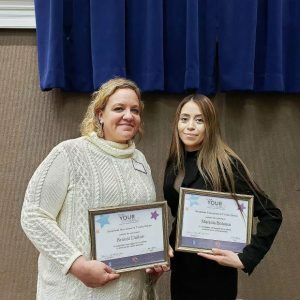 During her second year of college at California State University Fresno, she decided it would definitely be the path she would pursue. Taylor went on to earn a teaching credential from National University, Sacramento. 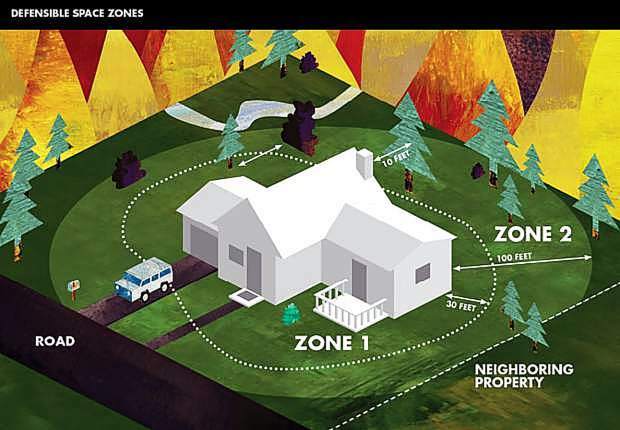 Strong and her husband moved to the Tahoe area to enjoy the snow for a season, and then decided to make it their home. Strong initially worked as a substitute teacher, mainly in second and third grade. She also worked as an instructional aid and last year taught an enhancement writing class at Glenshire Elementary. Strong was thrilled to accept her first full time teaching position at Glenshire Elementary this year. “Kindergarten has been so much fun, I have the best class, and I have found a new passion for another grade level,” said Strong. As a new teacher Strong is very grateful to have joined the great staff at Glenshire Elementary. Glenshire Elementary Principal Kathleen Gauthier feels fortunate to have added Strong to the kindergarten team. Glenshire Elementary receives an exceptional level of parent involvement in their classrooms. Parent volunteers praise Strong’s confidence and energy. “I am a better parent, because of my time volunteering in kindergarten and I couldn’t be happier about my child’s experience,” said one parent. Strong enjoys reaching out to children and making a difference in their lives and is proud to say that she is doing something she loves. Strong feels honored by the recognition, especially as a first year teacher. She hopes to continue inspiring students the way her teachers inspired her. Glenshire parents, teachers and staff strongly concur she is off to a great start, and look forward to her having many more successful years of teaching. 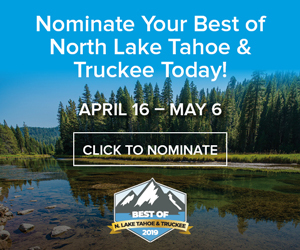 To nominate your teacher for the Truckee Hometown SEARS-Sierra Sun/North Lake Tahoe Bonanza Teacher of the Year award email tahoetruckeeteacheroftheyear@gmail.com or take nominations to the Truckee Hometown SEARS store at 12047 Donner Pass Road in Truckee.